This event was held on 10th May 2014. On 10th May come and hear 7 case studies from Irish graphic and packaging designers and food producers who share how great design work lead to better sales. We will identify the common methodology and processes, including branding and packaging brief templates, that can help you maximise your engagement with a designer and get results that sell for you. planning a redesign of their existing packaging or brand. You will leave with a branding or packaging design briefing template (from Bord Bia) which the closing workshop will guide you through filling out. That brief is the essential beginning of your engagement with a designer. 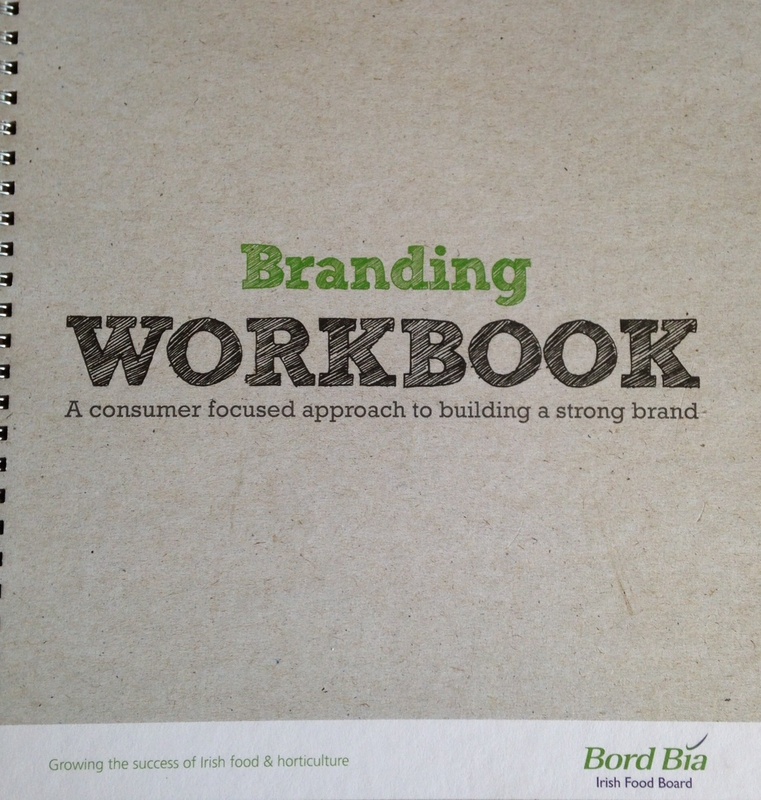 Copies of the Bord Bia Branding Workbook will be available for you (you can see it below). Click here to BOOK NOW – The price is €75 and that includes buffet lunch and your 1:1 consultation with one of the designers. With us throughout the day will be Giles Calver. He wrote “What is Packaging Design” which became a standard book for design students and those looking for an introduction to the subject and one of the UK Design Council’s recommended books. He began his association with food packaging design in 1990 when he devised the product name for a new goat’s cheese collection for artisan producer Gedi. Currently he is working with a food producer helping it launch new desserts, cake and granola bars on to the Indian market, as well as with one of the world’s largest drinks manufacturers. He is now a director with Sedley Place, an independent design and branding agency, in London. Also on stage for the day will be Keith Bohanna. 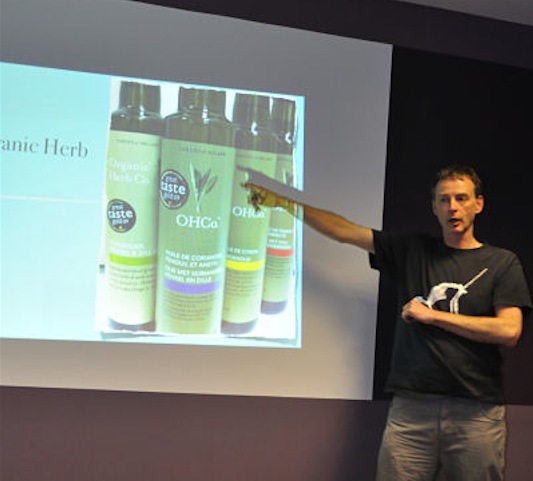 Apart from being the organiser of the day he has written over 100 blog posts on artisan food design and packaging and he advises many big brands in Ireland on digital communications and messaging. Format: Every 40 minutes a food producer and designer will share the stage and talk through their collaboration. The producer will brief us on what makes their products special and what they wanted from the work, the designer will then explain how they worked with that brief to deliver the packaging and other assets. The producer will wrap up by sharing the impact of the work on their marketing and sales. Q&A throughout. During lunch there will be an hour of 1 to 1 consultations with the designers including Giles. An email will be sent out before the event with booking instructions. 16.40 to 17:30: You will leave with a branding or packaging design briefing template (from Bord Bia) which the closing workshop will guide you through filling out. That brief is the essential beginning of your engagement with a designer. Copies of the Bord Bia Branding Workbook will be available for you (you can see it above). Location is Highbank Organic Orchard Farm, Cuffesgrange, Kilkenny. Free parking on the farm. You can see it on Google Maps here. If you have questions or feedback I’d love to hear from you. If you are interested you can get more on the background to this event in my post here. BOOK NOW – The price is €75 and that includes buffet lunch and your 1:1 consultation with one of the designers.